We prefer a clear and straightforward business relationship with investors and market participants. We believe dynamic adaptation to an everchanging landscape of mortality and longevity drivers is a must. The ability to project the evolution of these key drivers enable Extropy to prospectively adjust asset and portfolio composition to meet target expectations. We remain engaged in all aspects of policy evaluation, aggregation and management ensuring investment goals are optimized. Managers relying on outsourced services and functionality subject investors to generic analysis and a trend towards sub optimal investment performance. Our experience clearly demonstrates the ultimate value associated with considering quantitative and qualitative variables. We utilize a robust analytic and evaluation methodology drawing upon biometric, pharmacological, lifestyle and financial inputs and trends to assess the value of an individual life insurance policy. Our understanding of key due diligence issues when evaluating assets not only protects our investors but enables us to understand the potential impact on performance of each individual policy. We have engaged some of the leading social scientists and universities to construct a biometric and life style algorithm to help identify key distinguishing factors in support of our policy selection and aggregation initiatives. This data is combined with the policy analytics provides a clearer, focused analysis helping to determine the merits of each individual policy. We have contracted with some of the world’s largest global reinsurers to provide us with an in-depth evaluation of select policies to uncover imbedded obstacles and opportunities. Historically we have attracted investors for longevity linked assets from within North America and from around the Globe. Each investor has unique structuring, tax, compliance and principal protection requirements. Our experience includes; working closely with advanced legal counsel, auditing firms, and asset management specialists designing investment programs in the space. We can assist facilitating arrangements covering the complete continuum of equity, debt and structured notes to Euroclear and Clearstream CUSIP numbered instruments. We have adopted a principal protected approach providing liquidity on a bespoke basis or opportunistically trade assets in existing markets. Copyright © 2017 Extropy Capital. All Rights Reserved. Designed by Patrick Zarrelli Powered by Dependable Website Management. 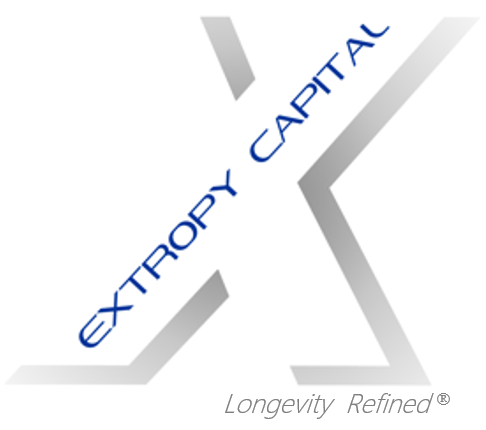 Extropy Capital provides access to capital and life settlement underwriting, mortality modeling and related technology services to businesses, such as life settlement brokers, providers and investors. Extropy Capital is not a licensed insurance producer, life settlement broker, life settlement provider, an investment adviser, broker-dealer or registered representative. Nothing contained on this website is intended to, and shall not be construed as being, investment, life insurance, tax, estate planning or other financial advice to any person or a solicitation to purchase or broker, or an invitation to sell, a life insurance policy or a security.